Cullinan is Rolls-Royce’s first SUV in 112 years – if you discount some extraordinary armoured saloon-based fighting vehicles of the World War One era and after — and it is also the company’s first-ever 4×4, a great leap forward especially if you consider that Cullinan’s system is a latest-tech, electronically controlled, highly configurable permanent all-wheel drive set-up. This is only the second new Rolls to use the all new, highly flexible “Architecture of Luxury” aluminium spaceframe introduced recently with the latest Phantom 8 limousine and earmarked for every future Rolls-Royce including the second-generation Ghost saloon, next to arrive after Cullinan. 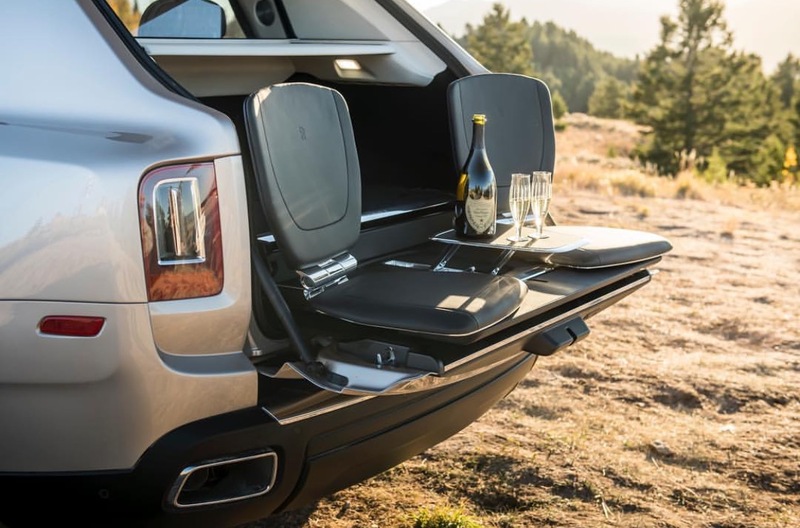 One reason for Cullinan’s impressive overall length is its use a “three-box” layout — in effect a classic, high-riding SUV shape with a short bustle-back that both improves the Cullinan’s profile and accommodates luggage more easily. There’s a split tailgate that opens both upwards and downwards to provide both shelter on rainy days and a low loading lip. 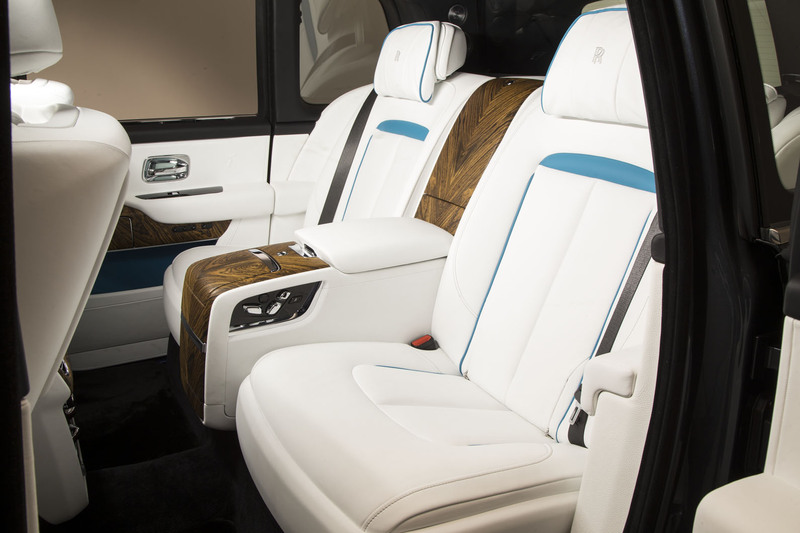 For all its practicality, the Cullinan still exudes class-topping quality. 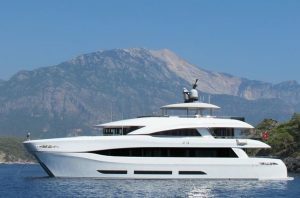 The high, prow-like bonnet rides above a traditional, hand-polished stainless steel grille. The lights and intakes are set more deeply into the body than on a saloon, and whole car consists at the front of a system of strong vertical and horizontal lines that the designers reckon imply strength and power) but the whole thing is given a more sporty mein by the fact that the roofline drops noticeably behind the B-pillar. 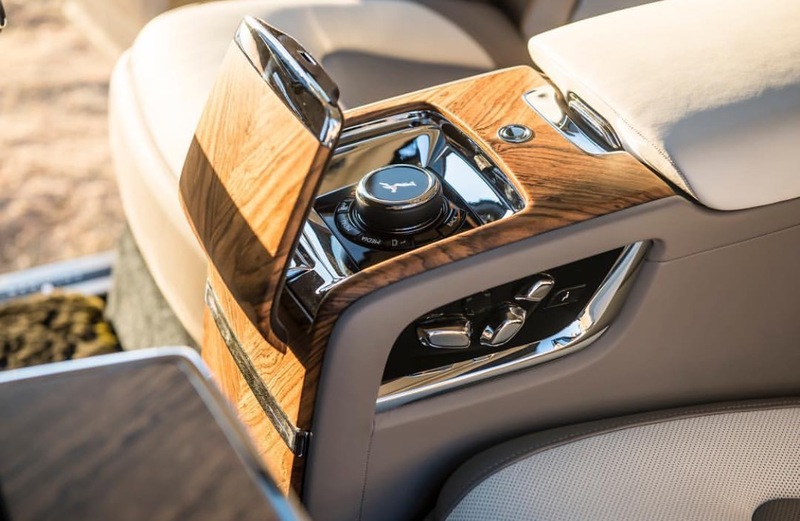 Cullinan’s interior is the usual paragon of Rolls quality and style, with a hint of natural conservatism (unless you configure yours flamboyantly) and an innate simplicity about the controls and instruments. 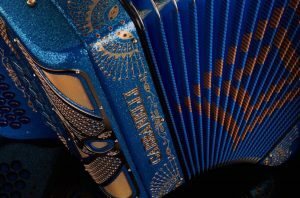 Rolls have long protected their owners from the sensory overload that can be caused by banks of dials, screens, switches and levers. The fascia, its upper half trimmed with durable and impressive new “box grain” leather (you might find it on a Leica camera) has another material below, perhaps wood. 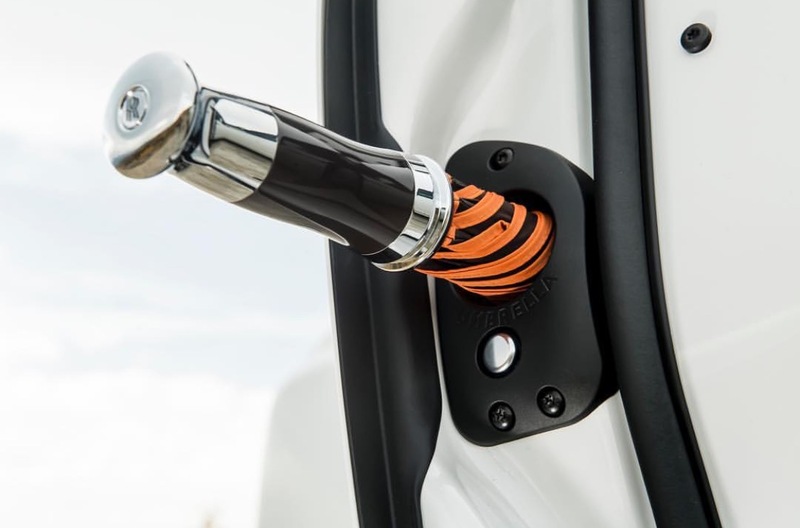 As you unock your Cullinan with the key, or touch its door handle, the body lowers 40mm for easy access. It rises again when you thumb the starter and the rear coach doors. Inside, there’s a flat floor, a legacy of the SUV format and the new architecture. 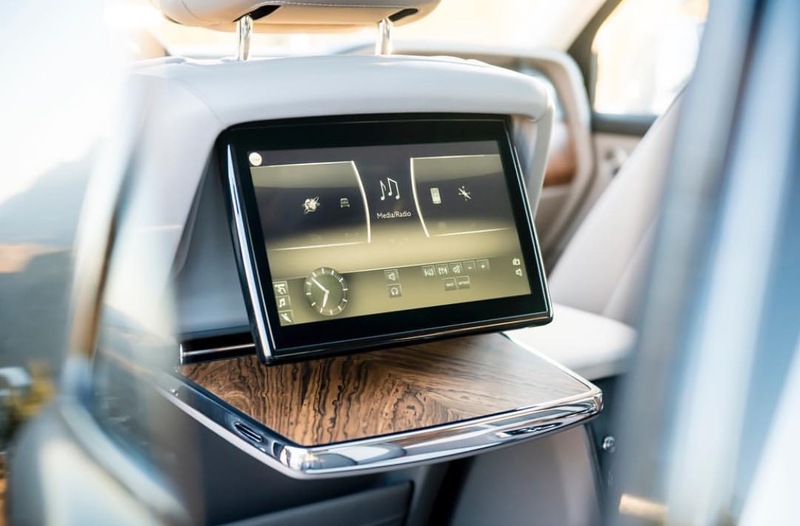 Despite talk of simplicity Cullinan can bristle with an impressive array of equipment that includes four- camera surround visibility, night vision, head-up display, a wifi hotspot, an alertness assistant and more. 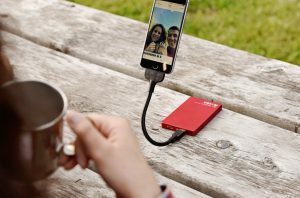 The tailgate is powered, of course, and can opens to reveal an optional “recreation module”, a superbly made container filled with tools for whatever activity you favour, from croquet to drone racing. Our demo car had a Viewing Suite, two comfortable fold-out chairs and a little table, perfect for taking outdoor cocktails or watching a point-to-point. Rolls-Royce is determined that a Cullinan will play its full part in its new owner’s lifestyle. Rolls-Royce is expecting big things of the Cullinan. 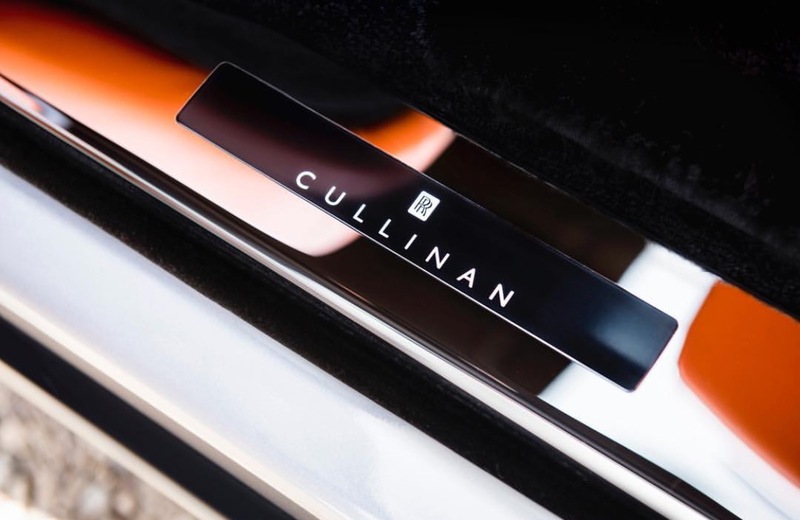 As well as anticipating new interest in markets such as India and Russia that especially suit Cullinan’s “effortless, everywhere” message, the company expects take-up from younger, more active, outdoor-loving buyers. Named after the diamond in Britain’s Crown Jewels, the Cullinan will cost about $425,000. Rolls-Royce is determined that a Cullinan will play its full part in its new owner’s lifestyle.